Plant Notes: ITS data indicate this species is near genera such as Conradina and Piloblephis, far removed from Hedeoma (Edwards et al. 2006; Bräucher et al. 2010). 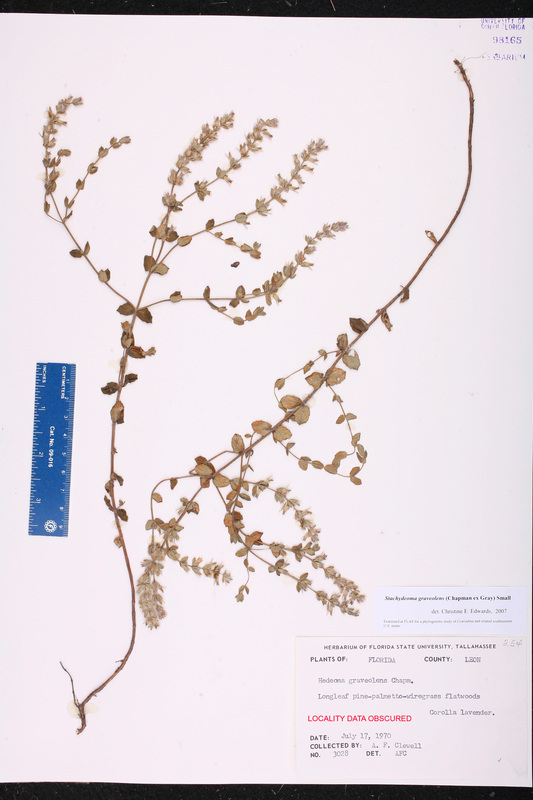 Citation STACHYDEOMA GRAVEOLENS (Chapman ex A. Gray) Small, Fl. S.E. U.S. 1041, 1337. 1903. Basionym: Hedeoma graveolens Chapman ex A. Gray 1873. Type: FLORIDA: Franklin Co.: Near Apalachicola, s.d., Chapman s.n. (holotype: GH). Hedeoma graveolens Hedeoma graveolens Chapman ex A. Gray, Proc. Amer. Acad. Arts 8: 367. 1873. 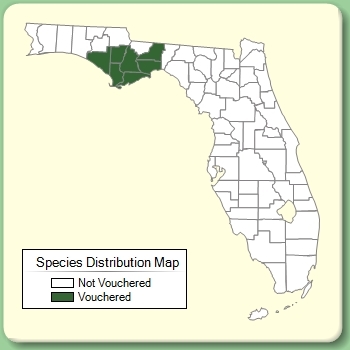 TYPE: FLORIDA: Franklin Co.: Near Apalachicola, s.d., Chapman s.n. (holotype: GH).